SANDY – Marshall Hunt’s first goal of the season couldn’t have come at a better time for Cedar as his strike was the catalyst that helped the Redmen put away No. 1-seed Pine View, 4-1, Friday at Alta High School. The win earns Cedar a berth in Saturday’s state championship game. Cedar, which held a narrow 2-1 lead most of the game, avoided a flurry of shots on goal from Pine View in second half, any of which would have tied the semifinal match had it found the back of the net. But with the clock ticking downn in the second half, Panther goalkeeper Justin Jones dived for and deflected a shot that bounced right into Hunt’s lap. With Jones out of the picture, Hunt rocketed the ball at the goal. It snuck past a Pine View defender and found home with 15 minutes to go, putting Cedar up with an intimidating 3-1 lead. 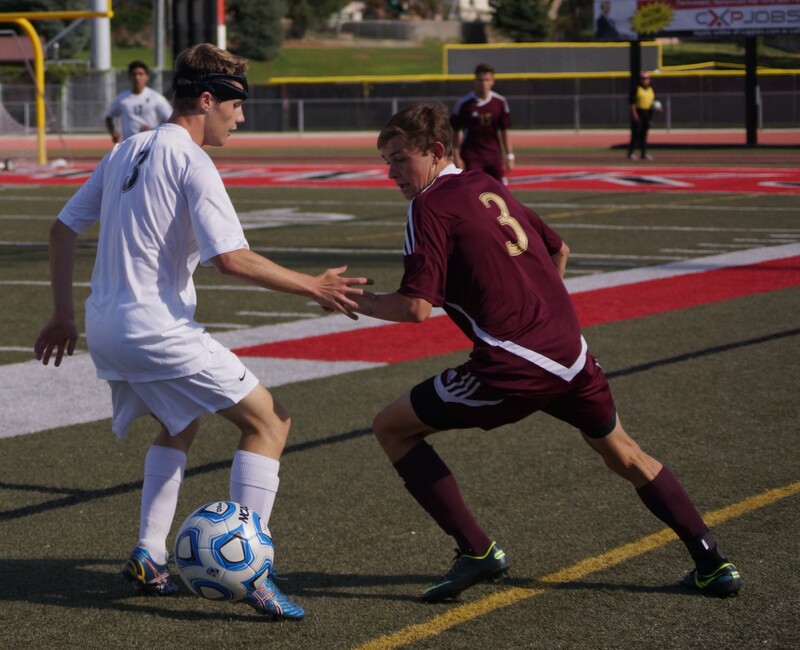 The Panthers, desperate for a goal, came up short in the waning minutes and gave up a final goal to Cedar’s Matt Allen in the 74th minute, which put Cedar up 4-1. The Redmen, who lost to Pine View twice in the regular season (2-1, 3-0) and slipped into the playoffs as a No. 4 seed, came up with a huge upset against PV, who came into the state tournament ranked No. 1 and as a favorite to win the title. The Redmen jumped out to a quick lead and never trailed against Pine View. In the first 10 minutes, Brock Shipp and Michael Briano each notched a goal for Cedar and sent a message to Pine View that this match would be different than the last ones. Ultimately, however, it was Hunt, who typically is behind the scenes, that became the hero for CHS in the semifinal matchup. 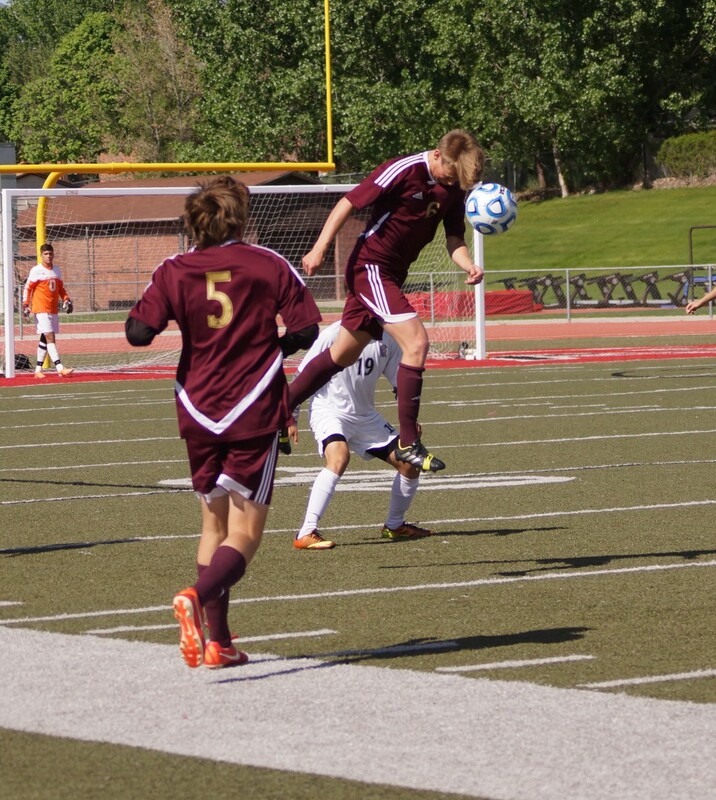 Pine View’s lone goal came at the 14th minute when Michael Wade scored from the left corner of the goal box. 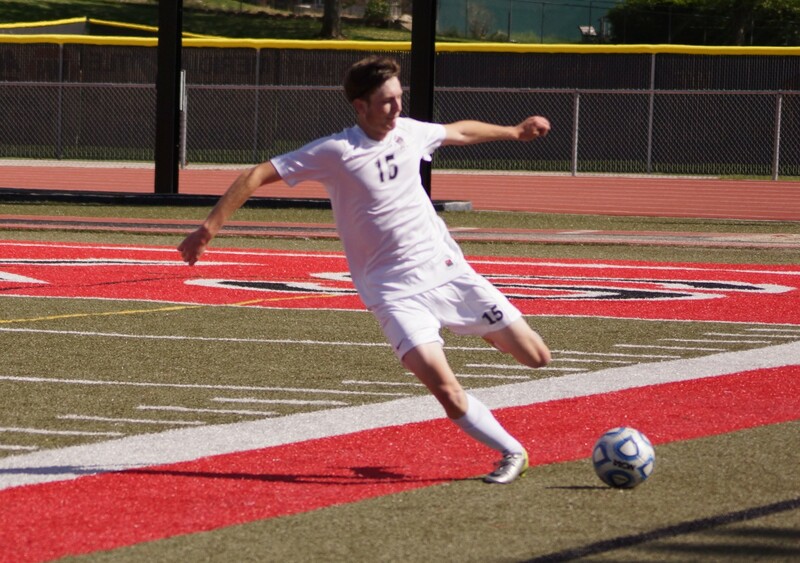 Pine View had three shots on goal in the 47th minute and two more shots on goal in the 57th minute, but all attempts were defended by the Redmen. Ultimately, both teams were scoreless from the 15th minute to the 65th minute when Hunt broke the silence. Cedar, 12-6-1, advances and will play for the 3A state championship Saturday at Rio Tinto Stadium against Region 9 foe Dixie. Pine View finishes the season with a record of 14-3-2. A.J. Griffin is a full-time student at BYU and a former broadcaster with Cherry Creek Radio and UtahPreps.net. He is recently returned from an LDS Mission to Cauayan, Isabela, Philippines and currently resides in Provo, where he is studying psychology.